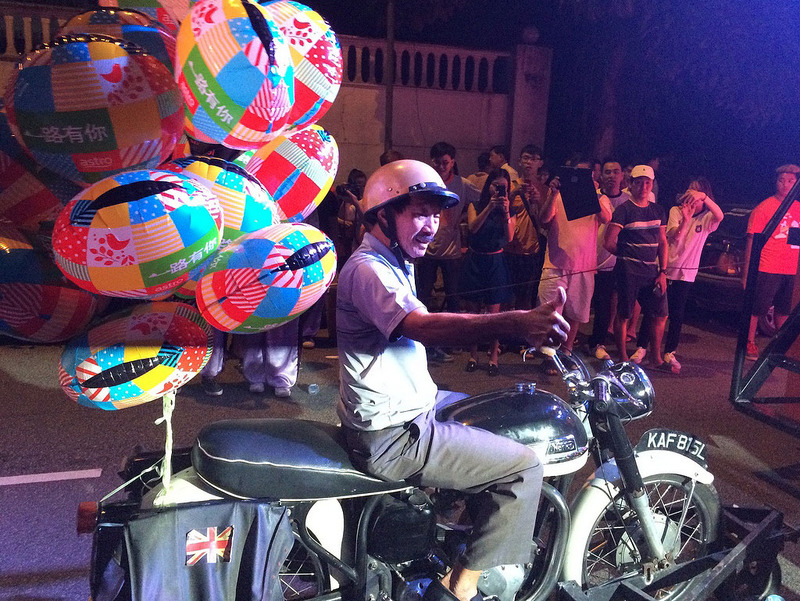 I had never heard about the Chingay parade before I recently watched the movie The Journey. In this beautiful movie, the daughter of an old farmer in the Cameron Highlands comes back from England with her boyfriend to get married. Big clash between conservative Frankie and naive, young Benji. Frankie reluctantly agrees to the wedding, but on condition that the wedding invitations will be handed over personally to the wedding guests. This brings them to Johor Baru (JB) where at that time (three weeks after CNY) the Chingay parade is held. I was fascinated by what I saw, so we decided to go to JB and watch it for ourselves. 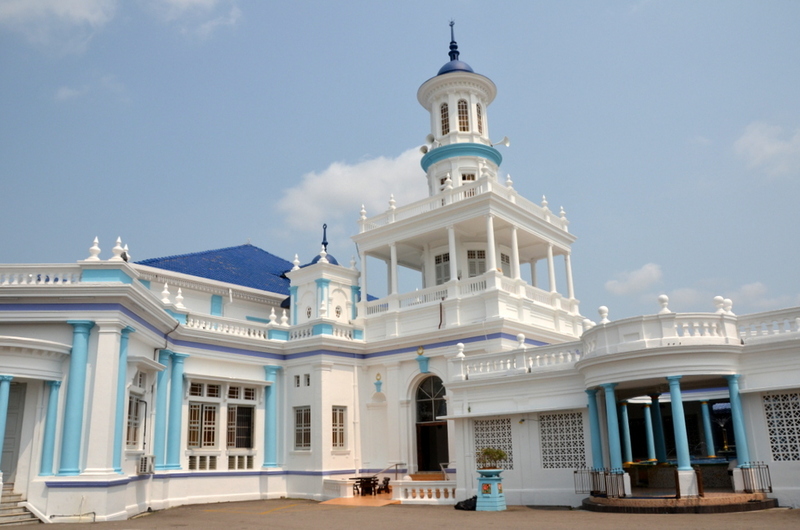 To break up the long way to JB, we first spent a night in Muar. An interesting town with good food and a lot of beautiful old architecture. I have published a detailed report about this trip on my Adventure Site, so here only one picture of Muar, the iconic Masjid Jamek Sultan Ibrahim, completed in 1930. The British knew how to create spectacular architecture! During the parade the deities are jostled and tussled often, so they have to be expertly bound to their sedans. Here you see one passing. Of course people are taking pictures, but many, often young people, are also praying. It is not just carnival, but religious as well. 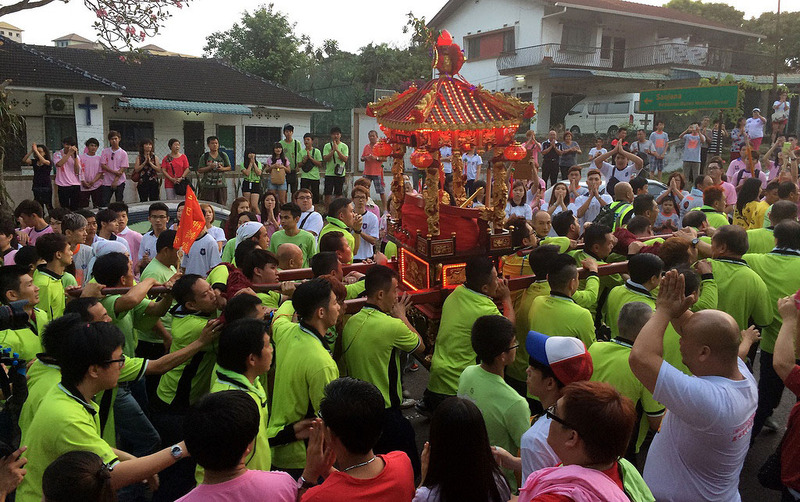 Chingay parades are held in other places as well, for example in Singapore. But the JB one is different and very impressive. After the Five deities have left the “Deities’ Depot in Jalan Ulu Air Molek, their sedans are interspersed with a variety of activities, dragon and lion dancers, stilt walkers, giant puppets, floats. A popular float was this time dedicated to the Journey movie, and main actor Frankie was present. Here is a collection of pictures, for more pictures, see the report mentioned above. After watching the parade and having our dinner, we went back to our hotel room (on the 15th floor! ), where we had a last view of the parade. We will come back next year. 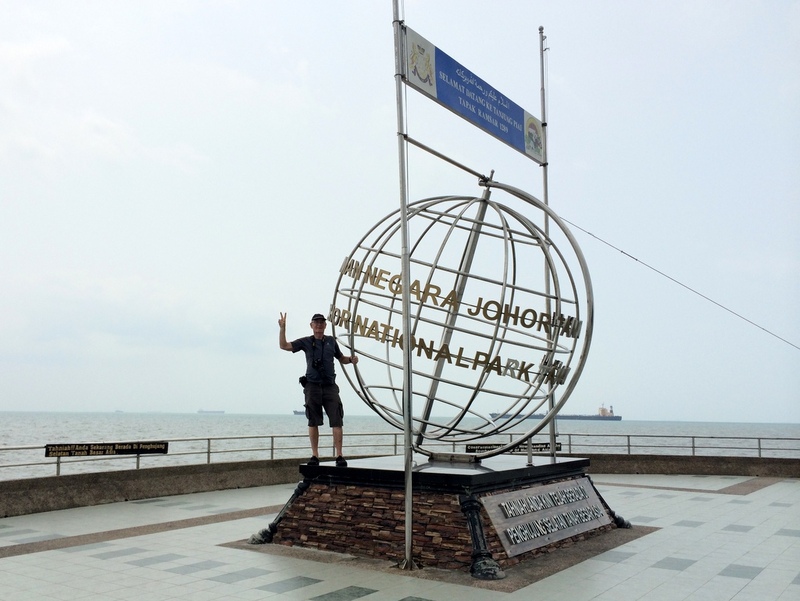 The next day, on our way back home, we visited the Tanjung Piai National Park, the southernmost tip of mainland Asia. More pictures and a travelogue here.